Before the split, Ogden’s Nut Gone Flake, named after a tobacco tin, was their conceptual masterpiece. Presented here as a limited four disc (three CDs + NTSC/Region 0 DVD) set. 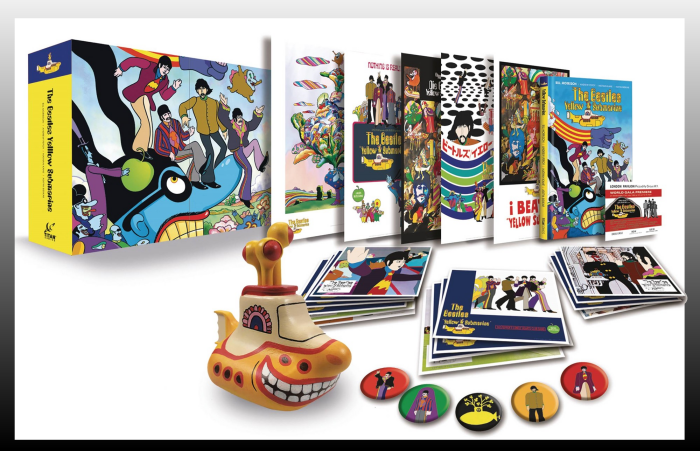 This 60-page hardback book edition contains mono and stereo versions of the album plus a disc of rare bonus material, together with a DVD containing The Small Faces’ legendary feature on an episode of the BBC’s TV show “Colour Me Pop” in June 1968, with the highlights being their performance of “Happiness Stan” and Peter Whitehead’s promotional film for ‘Lazy Sunday’. This collection also features a deluxe booklet loaded with material, including in-depth sleeve notes by Small Faces authority and Mojo contributor Mark Paytress, interviews, rare photos and memorabilia. What happens when Swinging London’s foremost mod quartet grow their hair, change their clothes, and go psychedelic? They write an era-defining smash-hit concept album! Ogdens Nut Gone Flake was originally released by Andrew Loog Oldham’s Immediate Records on 24 May 1968 and soon hit the #1 spot in the UK where it stayed for six weeks. Critically acclaimed and still featuring in albums-you-must-own-polls, it is by far and away The Small Faces’ best-known and most successful album. Alongside classic single tracks like ‘Lazy Sunday’ and ‘Afterglow’ plus ‘Song Of A Baker’ and live favorite ‘Rollin’ Over’, the LP even added a conceptual twist with the story of “Happiness Stan” and the narrations of Stanley Unwin on Side 2. To celebrate the 50th anniversary, the album has been newly remastered by Nick Robbins at Soundmastering with the full cooperation of surviving Small Faces member Kenney Jones. This is the best Ogdens’ has ever sounded. Any fan of late-60 British Rock will love this set, which at Amazon manages to clock in right below the sixty-dollar threshold to steer clear of BIG TICKET DAY. Our next pick in The 2018 PopCult Gift Guide is yet another terrific historical collection edited by Craig Yoe. Super Patriotic Heroes is the ideal gift for the fan of Golden Age comic books on your holiday shopping list, and will also be of interest to WWII buffs and students of the comic form. During World War II, a legion of star-spangled, flag-draped superheroes fought to defeat the forces of evil. Rediscover them now, when we need them most! 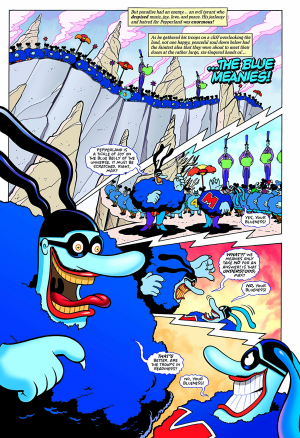 This book paints a compelling history and presents the exciting, full comic book stories. Let these stories take you back to the days when punching a Nazi was considered a good thing. Starting with The Shield and followed by Captain America, a whole battalion of red, white, and blue heroes appeared on the four-color page to help fight the Nazis. We need those superheroes again to battle for truth, justice, and the American Way! An historical essay sets the scene for these adventures of All-American Heroes, and lets you jump into action alongside our four-color patriotic forces. These full-color comic stories from World War II tell of true role-models of the patriotic ideal. Their fascinating history and their stirring tales will both entertain and inspire new generations! See the two-fisted, three-colored Miss America, The Fighting Yank, Super-American, U.S. Jones, Captain Freedom, Lady Liberty, Major Victory, American Eagle, Captain Victory, and many more! 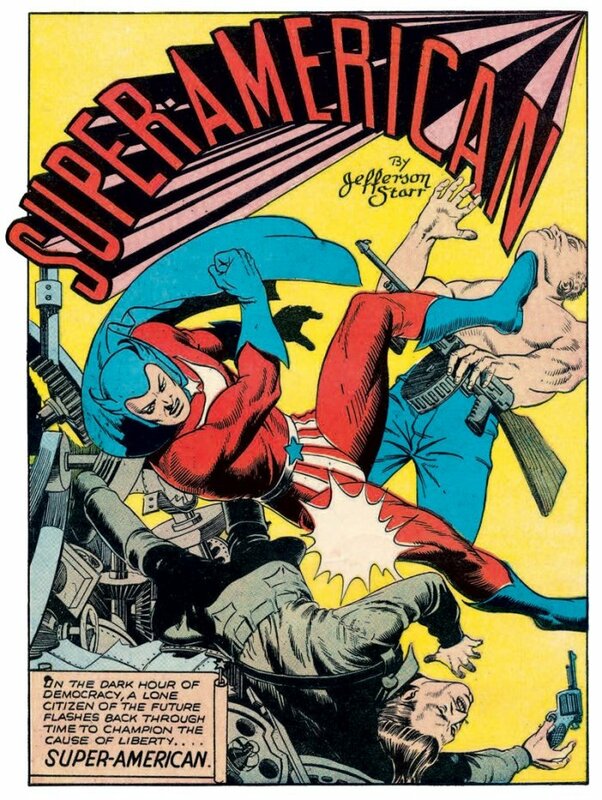 Proudly presented are action-packed stories from America’s Best Comics, Fight Comics, Our Flag, National Comics, and a battleship full of other explosive comic books of the Golden Age! You should be able to order Super Patriotic Heroes from any bookseller by using the ISBN code, or save a few bucks and get it from Amazon. Beckley, West Virginia-based musical and artistic legend, Doris “Lady D” Fields, has opened a webstore to sell not only her music, but also T-shirts with her original designs and “reclaimed treasures.” Her music is the perfect gift for anyone who loves great R&, Soul or Jazz music, and her T shirt designs are wonderful gift ideas too. 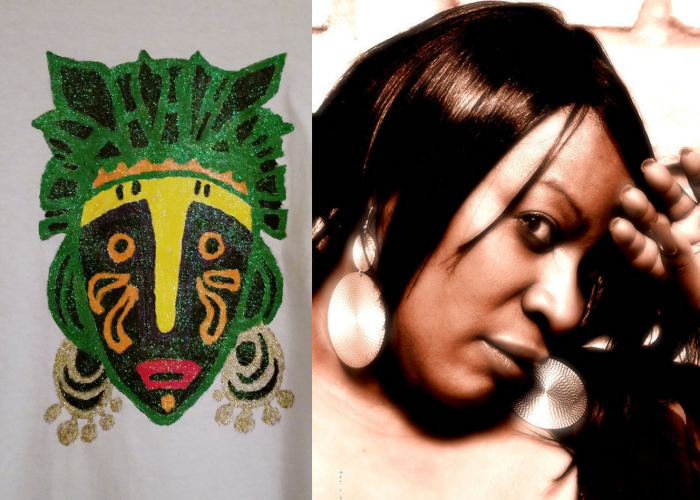 Lady D ‘s Not Just Music features creations and reclaimed treasures by songstress, Lady D. Always changing, eclectic and uncommon. Browse this site for things you never knew you wanted. “I am a lot of things! A singer, songwriter, playwright and artist are at the top of the list. I love to sing more than anything in the world but, the overall experience of actually being an artist is a sublime feeling. Artists aren’t really known for making a lot of money…at least not while they are alive. Sure, I would like to sell you one or more of my products but I’d rather think of it as sharing a piece of me with you. “I record my original music and some covers. You’ll be able to find them here. I love to paint clothing! You’ll find some designs here as well. I love to share what I call “reclaimed items” and you’ll find them here also. I’ll be adding new designs and more reclaimed items weekly. Here, you will find many things that you did not know you wanted. Enjoy looking around! “I have been singing since the age of three and being a famous vocalist is all I’ve ever wanted. However, life happens and on this journey, I have tried many things to express myself. There is “not just music” on this site, but I have included my growing passion for hand-painting fabric. You’ll find my own designs which are not perfect and no two are the same. That’s the perfection of artistic expression. With a great assortment of CDs and shirts, and more cool stuff being added every week, Lady D’s Not Just Music is a great way to find cool gifts while supporting the local scene. 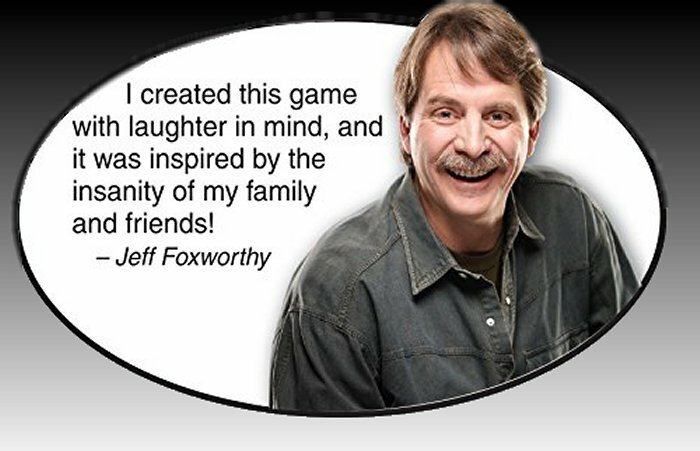 Our next pick in The 2018 PopCult Gift Guide is the Relative Insanity Party Game About Crazy Relatives, which was made and played by Comedian Jeff Foxworthy. You may have seen Foxowrthy playing this game on The Tonight Show, Rachel Ray and other TV shows, and it can be loads of fun. Designed for 4 to 12 players, ages 14 and up, Relative Insanity is a great gift for families with older children, or for folks who love party games, but prefer to steer clear of the darker topics that some party games veer into. It sells for around twenty bucks, where ever games are sold. As we did a couple of years ago, in the 2018 PopCult Gift Guide we are once again going to recommend the art of Charleston’s own Glen Brogan. Glen Brogan is the type of artist that makes his fellow artists want to give up and pack it in. His art is so good that it’s hard to imagine anybody topping it. 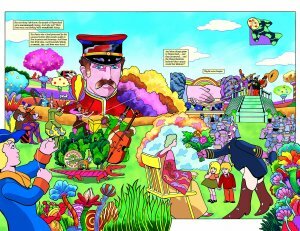 With a sleek style and a strong appreciation of the coolest elements of pop culture, Glen has made a name for himself with exhibits in New York and Los Angeles and work commissioned by Disney, King Features Syndicate, Marvel Comics and more recently with the Overwatch Game and The Powerpuff Girls. Seriously, we’re talking about eye candy of such a high grade that it can mess with your blood sugar. You’ll find Glen’s artwork on T shirts, prints and more. 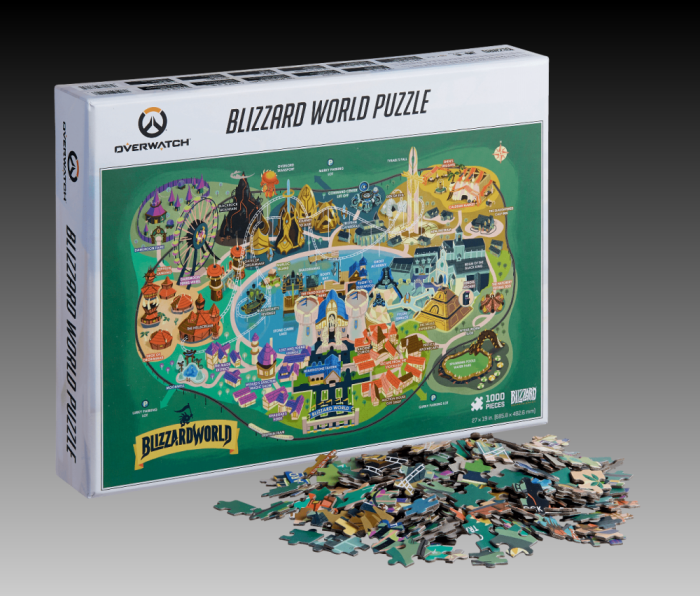 In fact, you can purchase his map of Blizzard World from the video game Overwatch as a jigsaw puzzle (seen below) for just twenty bucks. It’s the perfect gift for the Overwatch fanatic or local art supporter on your holiday shopping list. You can order it HERE. You can also buy Glen’s art on T-shirts HERE, and on prints HERE, HERE and HERE. Unfortunately Glen’s Powerpuff Girls print, which won’t be delivered until January, is already sold out from Mondo. You can still get his Halloween poster with Black Philip. This is a great way to support a local artist who’s making his name on the international scene and treat your gift recipient to a wonderful work of art (or shirt or puzzle). We kick off this week with a digital painting inspired by a photo of silent movie star Theda Bara as Cleopatra. I basically swiped the pose and the costume, and put her against an abstract background. I also limited the color pallette for this one for no particular reason. Nine months after my catastrophic computer crash, I’m still learning my way around the new tools I have with a more powerful computer, and mixing those with custom brushes I’ve been using for more than ten years. As always, click the image for a bigger version. Meanwhile today over on The AIR, we present a Monday Marathon of Radio Free Charleston from 7 AM Monday to 7 AM Tuesday you can tune in for the best local music I can shoot your way. What other radio station brings you 24 hours solid of local music? 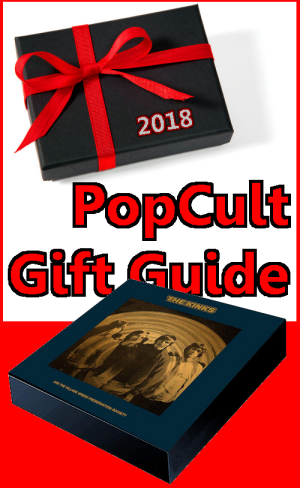 Don’t forget to check back later today for more of The 2018 PopCult Gift Guide. We’re doing this all month, and it’s the best way to find pop culutre gift ideas anywhere on the internets. The perfect BIG TICKET DAY gift for the rabid Kinks fan, devout anglophile or just anyone with a fascination with intricate and pastoral late-1960s British pop, The Kinks Are The Village Green Preservation Society Deluxe LP (12″ album, 33 rpm), Box Set is an epic presentation of a sadly-overlooked classic. 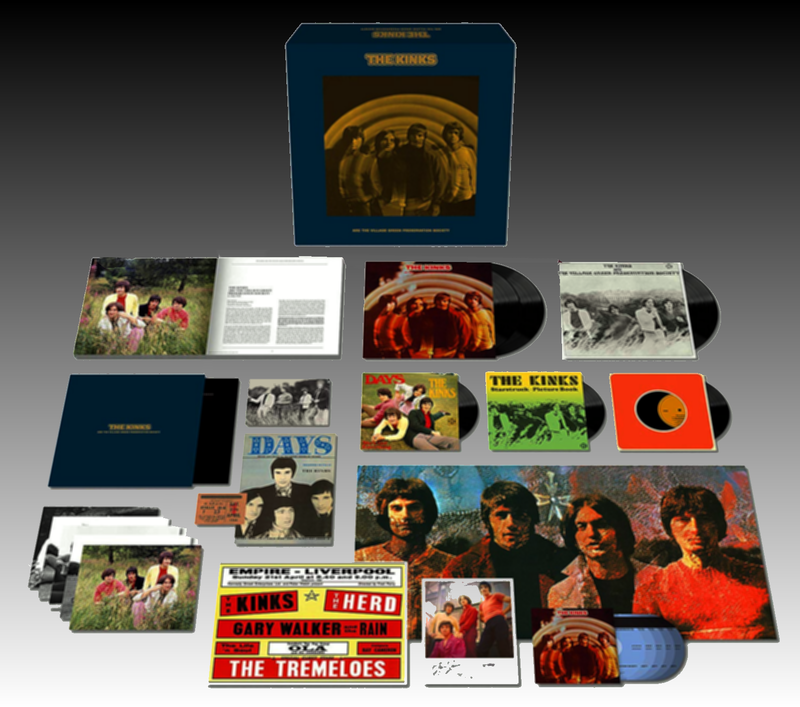 THE KINKS ARE THE VILLAGE GREEN PRESERVATION SOCIETY 50th ANNIVERSARY SUPER DELUXE BOX SET – 2018 REMASTER is a lavishly packaged super-deluxe box set, part of the BMG ‘Art Of The Album’ series, which focuses specifically on high quality, bespoke packaged re-issues of seminal albums within the BMG catalogue, offering the highest spec audio masters and original artwork. The set contains remastered original LPs, CDs of the remastered original albums plus a wealth of unreleased bonus material, reproduced 7″ singles, deluxe hardback photo book with comprehensive notes and new band interviews, and reproduced original memorabilia. 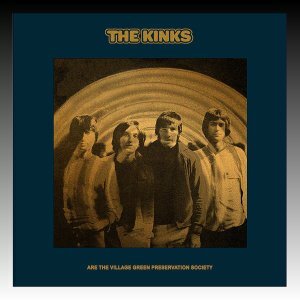 Somewhat overlooked upon its release in November 1968, The Kinks Are The Village Green Preservation Society is now seen as one of the best British albums ever recorded. Created in difficult circumstances by a band who refused to follow fashion, it is an album of timeless, perfectly crafted songs about growing up and growing old, and the decline of national culture and traditional ways. Enduring and unsurpassed, with its wit, sadness, quiet anger, regret and charm, it is generally considered the high point of The Kinks’ outstanding career and Ray Davies’ masterpiece. A calm, nostalgic album which feels like a sweet, hazy dream but with endless layers of musical and lyrical innovation, The Village Green Preservation Society‘s defiantly British sensibilities became the foundation of generations of British guitar pop. 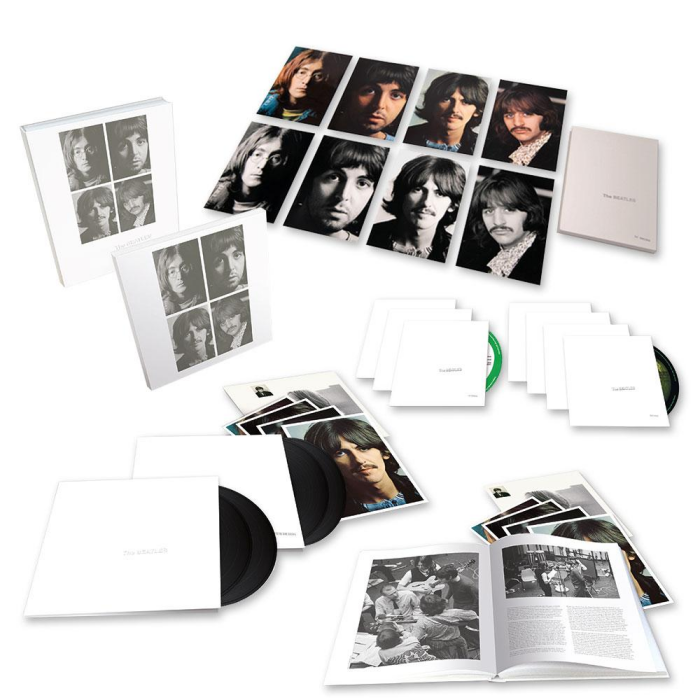 Counting all the CDs, and vinyl (12″ and 7″), this super deluxe edition is a staggering eleven-disc set. It contains a double vinyl LP with stereo and mono versions (both 2018 remasters) and a 12-track ‘Continental’ (Swedish) version on vinyl. Preservation, Sessions, Live & Demos – including mid 70s recordings, previously unreleased home demos, Ray Davies live in Denmark 2010 and unreleased track ‘Time Song’. The box set comes with a 52-page hardcover book with extensive sleeve notes and new band interviews and includes essays by Pete Townshend and other writers. It boasts “special packaging” with debossed box cover, foil & metallic text, linen cloth finish and a ‘bespoke accessories holder’. As I said, this is the perfect gift for the rabid Kinks fan on your shopping list, but it will also appeal to anyone who loves well-crafted, interesting music. List price is upwards of $160 for this set, but if you shop around online, you’ll find it in the $120 to $145 range. Our next BIG TICKET DAY pick came out several years ago, but has dropped enough in price at Amazon that it’s still just barely a big ticket item (just over sixty bucks) but since it includes 20 top-notch films, it breaks down to little more than three bucks per movie for what amounts to an instant movie collection of OSCAR Best Picture winners. 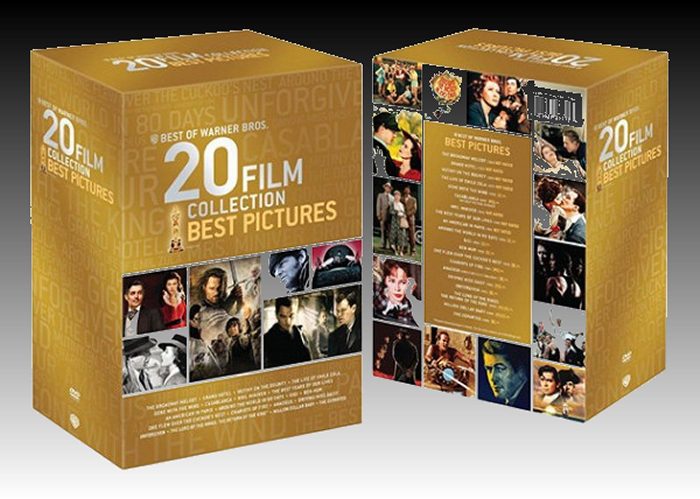 Best of Warner Bros 20 Film Collection: Best Pictures is on sale now at Amazon, and it’s a great collection of films for the beginning movie buff, or young film appreciation student on your holiday shopping list. This box set pays homage to one of the most iconic all American movie studios, Warner Brothers, with 20 Warners Best Picture winners spanning almost 70 years. Contents include Mrs. Miniver (1942), The Best Years of Our Lives (1946), An American in Paris (1951), One Flew Over the Cuckoo’s Nest (1975), Chariots of Fire (1981), Million Dollar Baby (2004) and The Departed (2006). Also included is a 24-Page Booklet. To be honest, this collection includes several movies that rank among my favorites of all time, as well as a few that I’d rather rip my eyes out than watch again. That’s part of the fun. You can watch these films with a friend (or loved one) and discuss afterward whether or not it deserved the OSCAR. Was Chariots of Fire really better than Raiders of the Lost Ark? Was Gone With The Win really better than The Wizard of Oz, Stagecoach, Mr. Smith Goes To Washington or Wuthering Heights? With this set, you can loads of fun finding new classics you may have missed, and wondering why some were even nominated for the OSCAR in the first place. And it’s on sale at Amazon with the bonus of being in a box that should be easy to wrap. This is the only gift that you need to get the obsessive Beatles fan on your shopping list, provided that they aren’t so obsessive that they already pre-ordered it so they could get it the day it was released last week. List prise is $159.98, but you can shave twenty bucks or more off of that if you shop around. CDs 1 & 2: 2018 stereo album mix–this is a new mix by Giles Martin, based on the original stereo mix by his father and the band. CD3: Esher Demos–previously only available in low-fi bootlegs, these are recordings the Beatles demoed at their home studios prior to entering Abbey Road to record the album. • The bulk of the book is taken up with song and recording notes, all written in exemplary detail by Beatles expert Kevin Howlett. He explains all of the different takes and the actual writing and recording process for every track in the set. 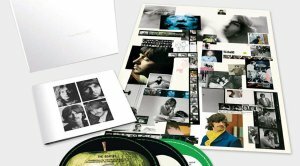 • There is a new scholarly essay on the art of the White Album – explaining that it was actually an important moment in the development of modern pop art and it explodes several myths about what people think had been other cover ideas as well as exploring the way rock music and art were starting to grow together. • Guardian writer and social commentator, John Harris, has also written a fascinating chapter that looks at the reception of the album when it was released and how that has changed in perception and influence over the decades, concluding that this is in many ways perhaps their most influential album, especially in terms of how it has influenced generations of musicians since. This is quite simply a massive archeological presentation of one of the greatest albums ever recorded. It will dispel some myths, answer some questions. 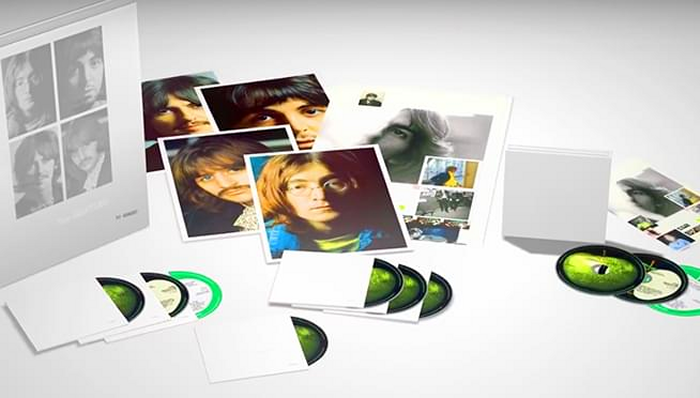 create some new questions and most importantly, thrill any fan of the Beatles with previously unavailable music. There are other, less expensive versions of this set, if your budget is constrained. You can also find a 4 LP vinyl version, and although you can’t wrap it or read the book, it is available from streaming services.